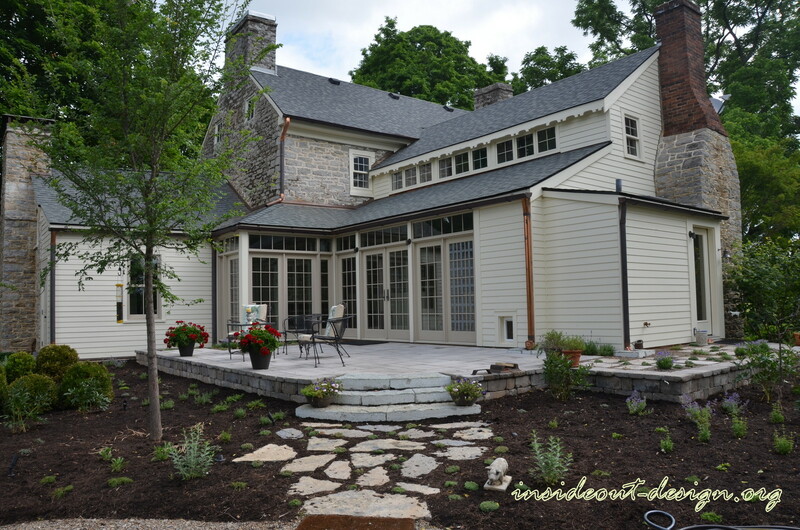 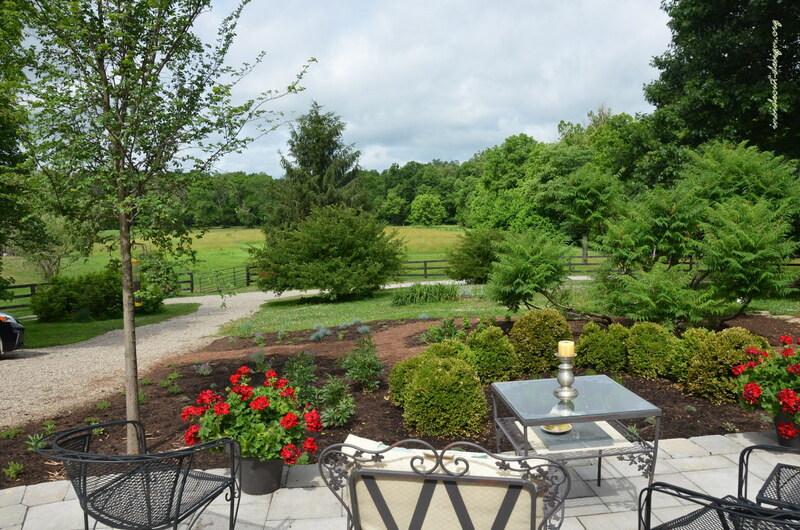 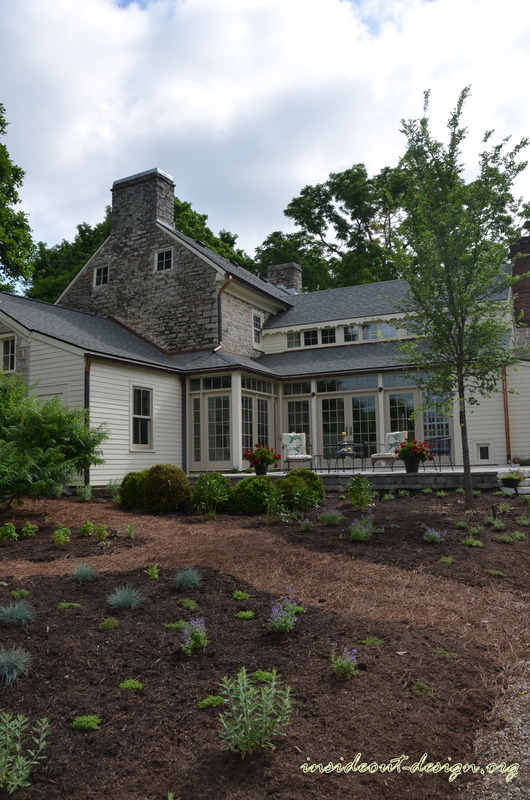 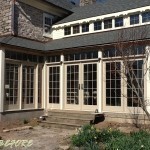 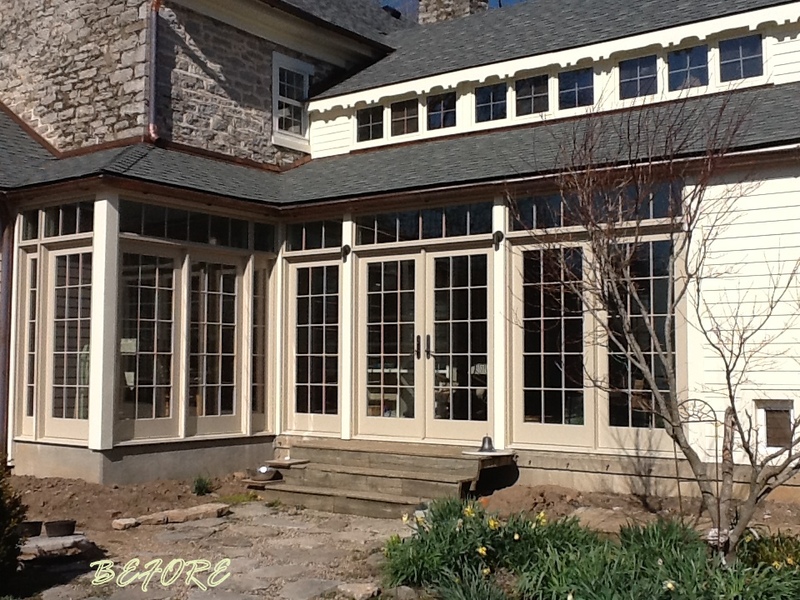 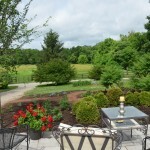 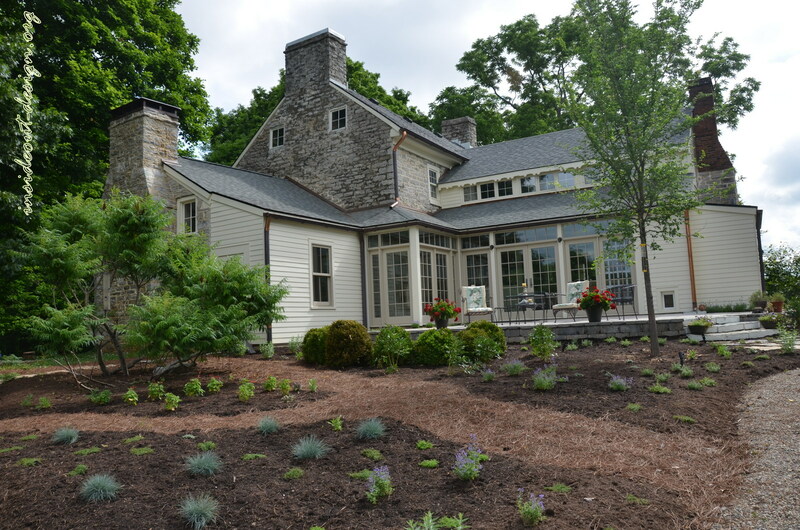 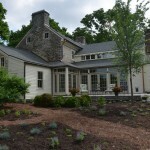 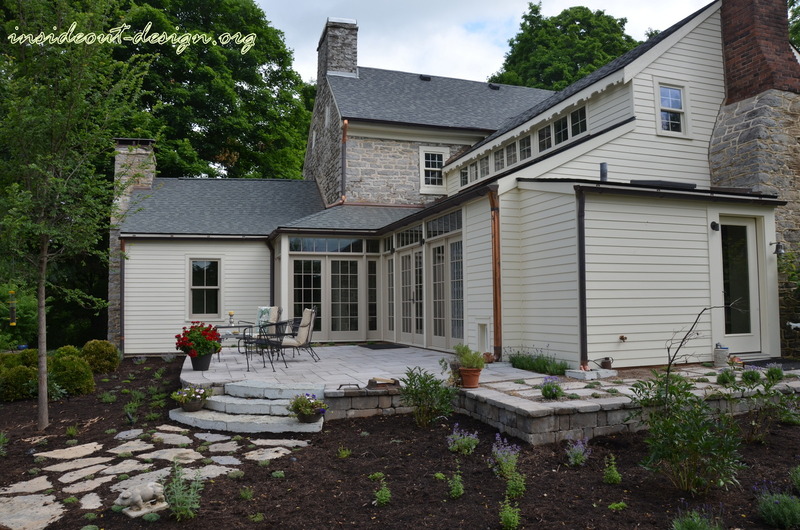 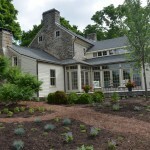 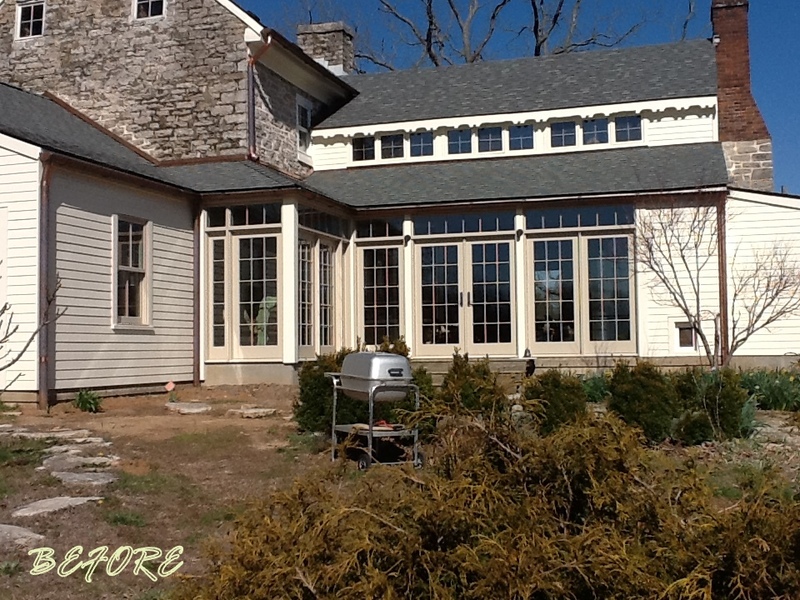 With a recent addition to this historic home, a wall and pavers were added to extend the outdoor living space and open the view to the countryside. 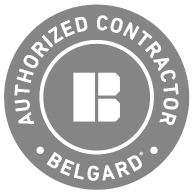 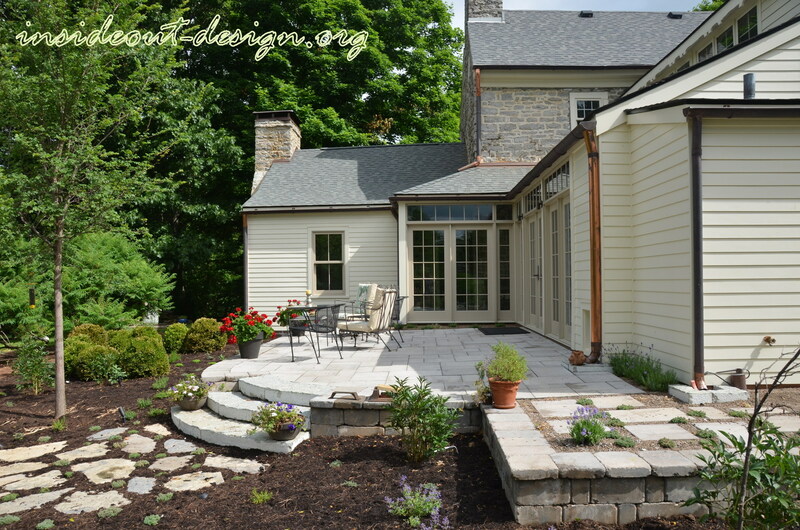 The large Belgard pavers and wall bring the patio to the grade of the addition, while curved limestone stairs accent the entry corner. 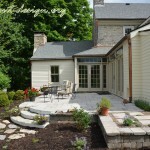 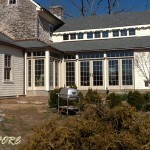 Custom limestone drain curbing was added at the patio to tie into the rest of the design. 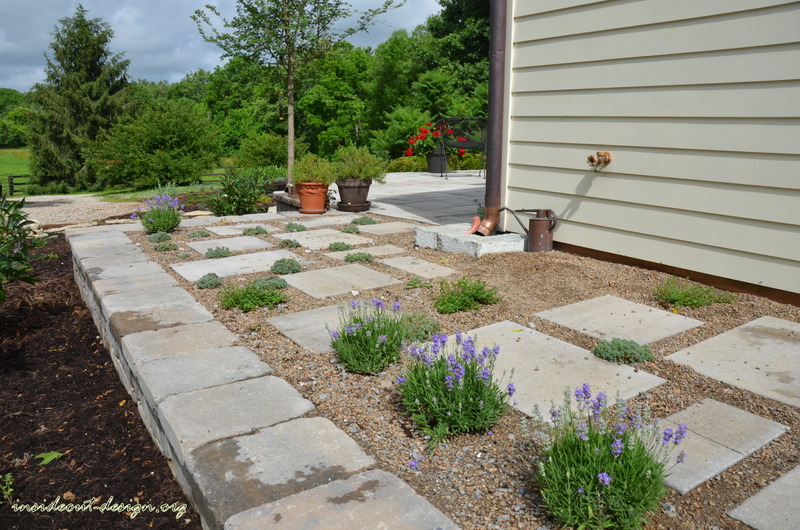 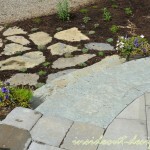 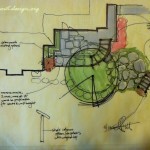 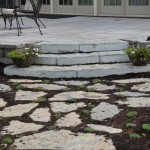 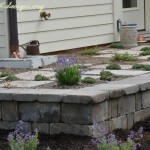 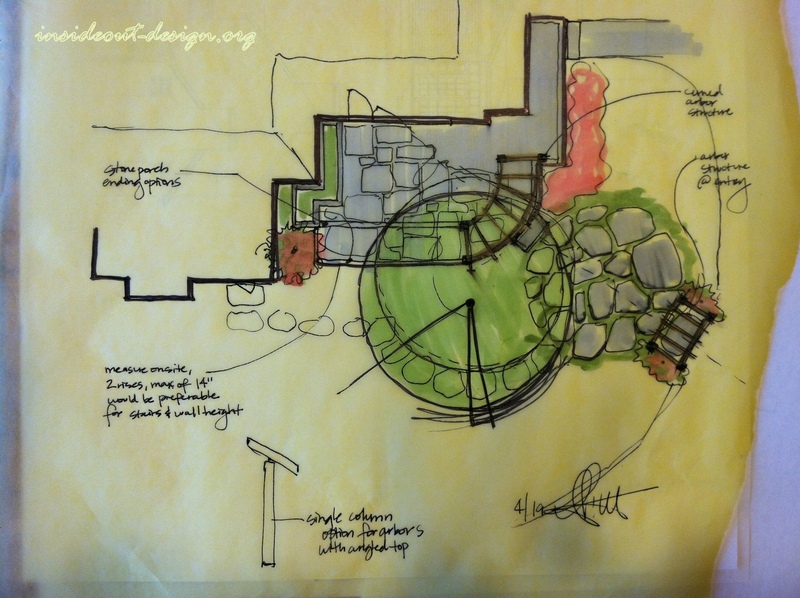 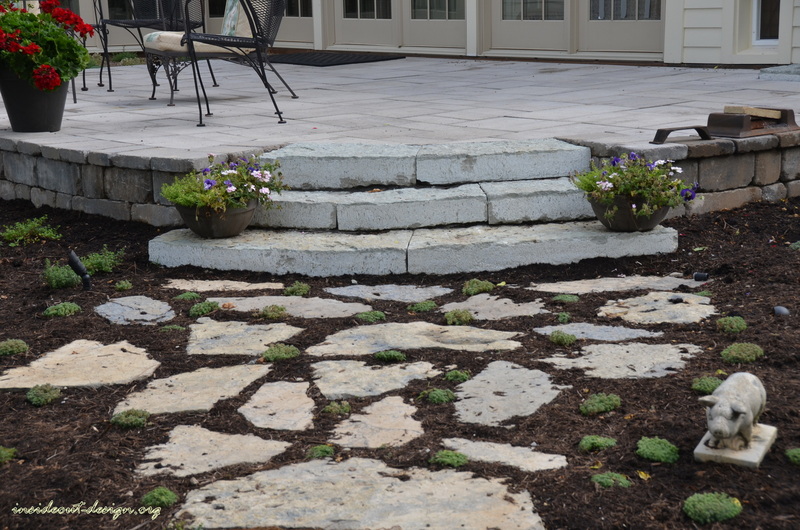 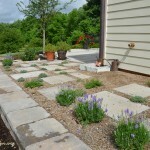 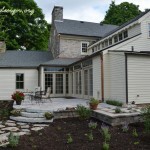 The design includes green pockets for low growing sedum, lavenders, and thyme on the patio. 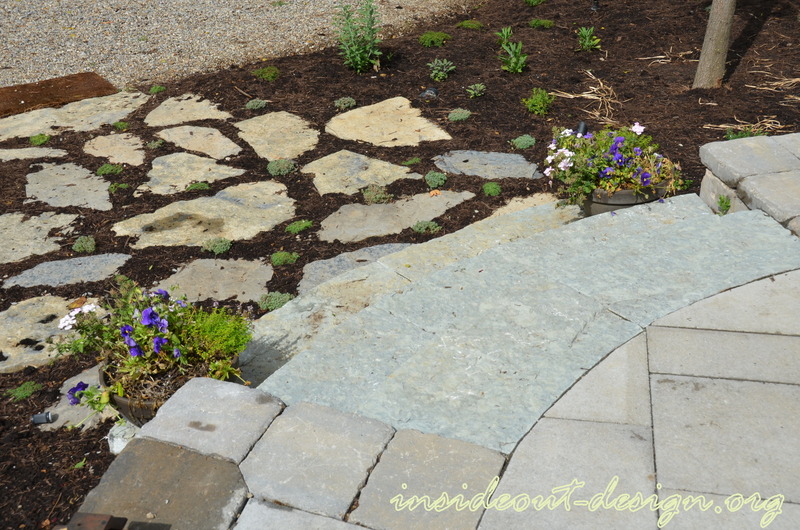 Green roof media was used between the “broken” pattern of the pavers to allow these plantings to grow. 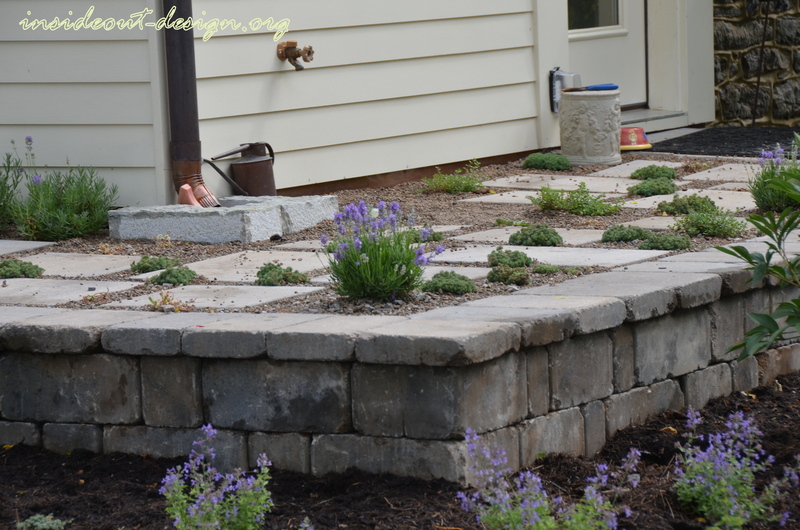 Low plantings of thyme, oregano, creeping rosemary, and sage varieties form the large herb garden and are planted with other perennials.